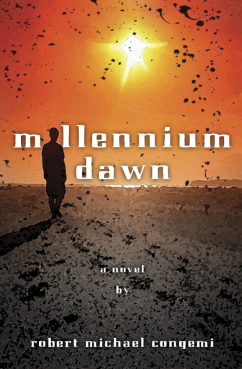 In Millennium Dawn, this second book of his trilogy The Millennium Volumes, which fictionalizes the years from 2001 until 2008, Robert Michael Congemi presents the stories of representative Northeast Americans from the catastrophe of 9/11 to the disturbing revelations of Abu Ghraib. Whereas Millennium Blues, the first book of the trilogy, told the story of Harry Downs and his family and friends, Millennium Dawn adds a cubistic, stroboscopic account of the lives of several more working class individuals and civil servants as they experience the bombings of the World Trade Center and continue their lives in the wake of this world-changing event. Millennium Dawn captures first reactions and effects of the bombings on the lives of its characters, a U.S.-based view of the invasions of Iraq and Afghanistan, and an analysis by some characters of their past lives in order to better understand their fate. Relationships are examined, changed, exploited, newly begun. The novel concludes with a series of public and personal resistances and adjustments to the war and the new times, as well as a retreat into Eastern philosophy.